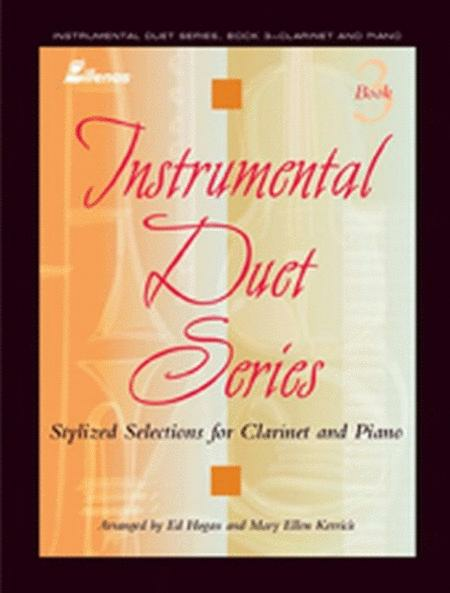 Book Three of the Lillenas Instrumental Duet Series, arranged for clarinet and piano by Ed Hogan and Mary Ellen Kerrick, is organized into three, three song thematic medleys. Each song has an ending, so that they can be presented individually, or as two or three song medleys. The piano is an equal musical partner with the clarinet in these arrangements. The companion split-channel CD can be useful as a helpful practice aid for the clarinetist or piano player, giving them a "virtual practice partner." The instrumentalist may also perform with the piano trax if no accompanist is available.